The Star, the Malaysian renowned daily has announced the best destinations in 2015 that travelers should come, Vietnam ranked number 1. Criteria for ranking are based on other websites and tour guide books. In the 2015 The Star list, which only has 5 destinations, Vietnam is the only Asian country. According to The Star, the Old Citadel of Thang Long, other historical sites, world heritages are the most visited places. 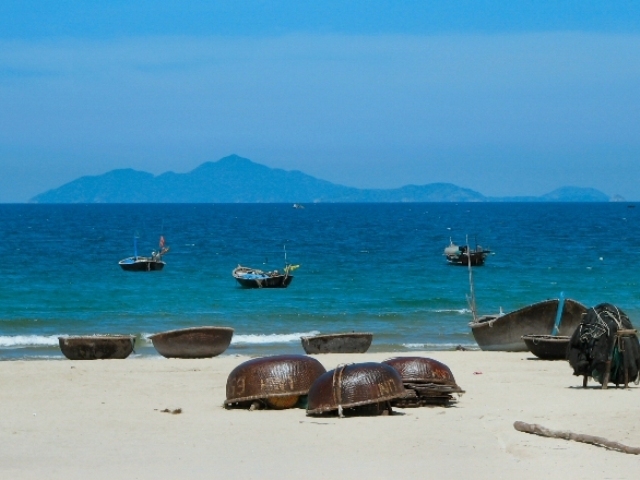 Danang was ranked by TripAdvisor as the number 1 destination on 2015. The city is not only attracting tourists by the beautiful beaches, the delicious cuisines, but also the unique Buddhist sanctuaries and relics. The next destination in the list is the Republic of Namibia. African country charms tourists mainly by the natural heritage. Besides, in 2015, the country will celebrate 25 years of independence, so the visitors and residents can celebrate and explore the abundance of wildlife species and many natural reservation areas. Panama and Nicaragua are both ranked at No. 3. Both countries are in the process of developing tourism infrastructure, with the emergence of a number of hotel construction projects. The pristine beaches, volcanoes and the colonial town are the highlights, attracting tourists. In 4th place, located on the shores of the Baltic Sea, Lithuania would be the ideal destination for European tourists who want to find peace. Here, visitors can wander on the graceful old streets, admire the beautiful architecture of the Baroque church or find traces of the old Soviet times. Also, visit the park, the natural landscape in the Amber Coast and Isthmus Courland would be an extremely wonderful experience. In 4th place, located on the shores of the Baltic Sea, Lithuania would be the ideal destination for European tourists wants to find peace. Here, visitors can wander on the graceful old streets, admire the beautiful architecture of the Baroque church or find traces of the old Soviet times. Also, visit the park, the natural landscape in the Amber Coast and Isthmus Courland would be an extremely wonderful experience.